Go with something made by First Alert. Everyone has crucial documents—birth certificates, passports, old photographs—that would be difficult or impossible to replace in the event of a disaster. For things you need easy access to, a fireproof document safe can make more sense than an off-site security deposit box. 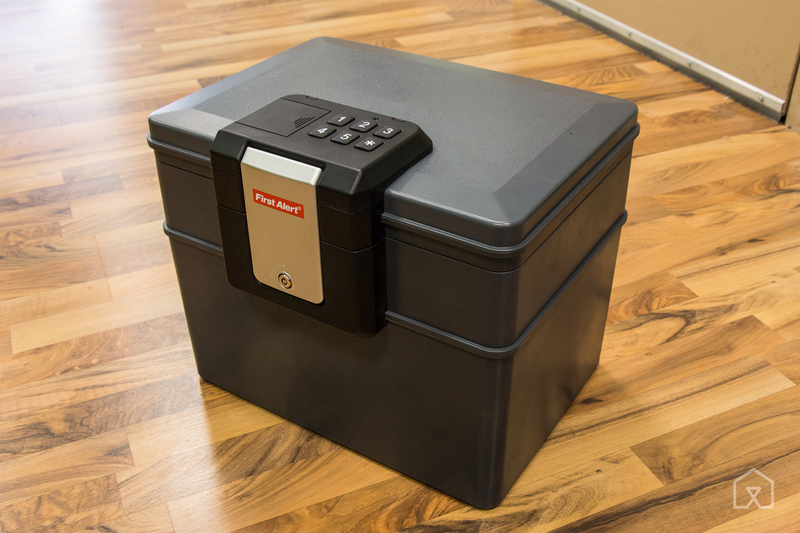 After subjecting five top-rated models to an actual trial by fire, we found First Alert safes are the best for most homes, and we specifically recommend the First Alert 2017F. Document safes are meant to provide protection from fire, water, and to a degree, theft, without your having to keep anything off-site. They're best for important documents—such as passports or birth certificates—or small items like hard drives or USB sticks. To be clear, fireproof safes are not meant to be burglarproof, or to serve as impenetrable time capsules. If you have jewelry, precious metals, or anything of high value you don't need frequent access to, consider a safe anchored to your floor, or a safe deposit box at a local bank. The fireproof document safes in this guide are also not gun safes, and should not be used as such. For this guide, we weren't looking for expensive professional installations or gun safes, but rather small, fireproof safes that fit under a desk or in a closet. This is the kind that's heavy and secure but still ready to be lifted and moved if necessary. A document safe needs to be fireproof and watertight (so "flood proof," too), with a locking mechanism that keeps opportunistic intruders out. Most fireproof safes are tested and rated by the safety organization UL and the inspection firm Intertek, using the "ETL" mark. We spoke to John Drengenberg, consumer safety director at UL, about the organization's testing procedures. He said UL tests to different ratings, depending on what kind of rating the manufacturer wants. 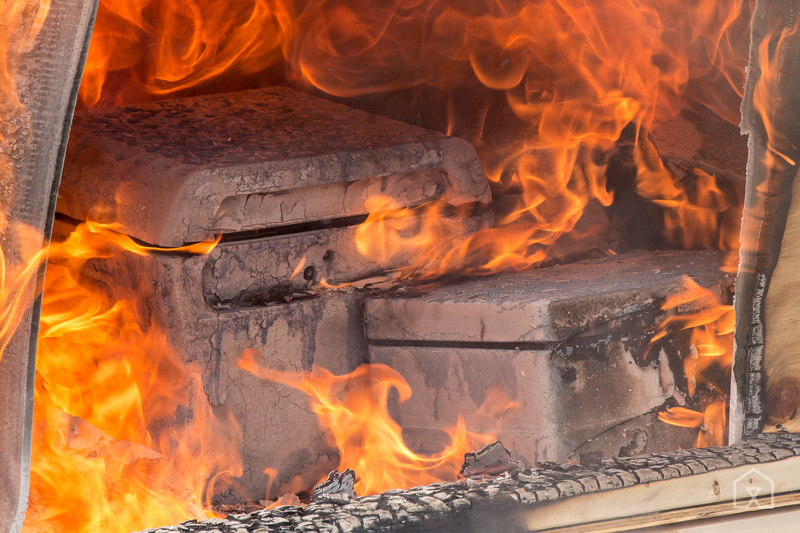 Most household safes are rated to last 30 minutes at 1,550 °F, a standard based on modern firefighting response and how a fire typically moves through a house. We surveyed about 200 Wirecutter readers to determine what they kept in a fireproof safe, or would plan to. Documents were the clear leader in demand at 97 percent, with digital media such as flash drives and CDs coming in second at 69 percent. A little less than half of the survey participants said they needed something suitable for jewelry, and 30 percent indicated that they wanted something for precious metals/coins and photographs, respectively. With digital media ranking so high in that survey, we required that our picks keep their contents below 125 °F, the failure threshold for digital media, according to UL. Three major brands make most of the fireproof safes for home use: First Alert, Honeywell, and SentrySafe. We checked out every home document safe from all three companies, 35 in total. From there we narrowed the list, eliminating models that have been discontinued, were too expensive, or couldn't fit an unfolded sheet of paper inside. We whittled the list to five test models. We evaluated how well items fit inside, how easy the locks were to use, and how sturdy each safe seemed. Then it was time to burn. With the help of trained fire professionals, we built a 4-by-8-foot room out of plywood and two-by-fours, and installed drywall inside to radiate heat. Then we filled it with flammable couch cushions, a carpet, cardboard, and some wood, put the safes in, and lit it. We filled each safe with the same contents: five printed photos in an envelope, a newspaper, a flash drive with various video files, and a DVD with a movie file burned to it. Within minutes, the fire was up to about 1,300 °F. We let it run its course for about half an hour before asking firefighters to put it out with a fire hose. When the safes were cool to the touch, we opened them to check out the aftermath. To learn more about our testing (and to see videos of us burning the safes), be sure to read our full guide. 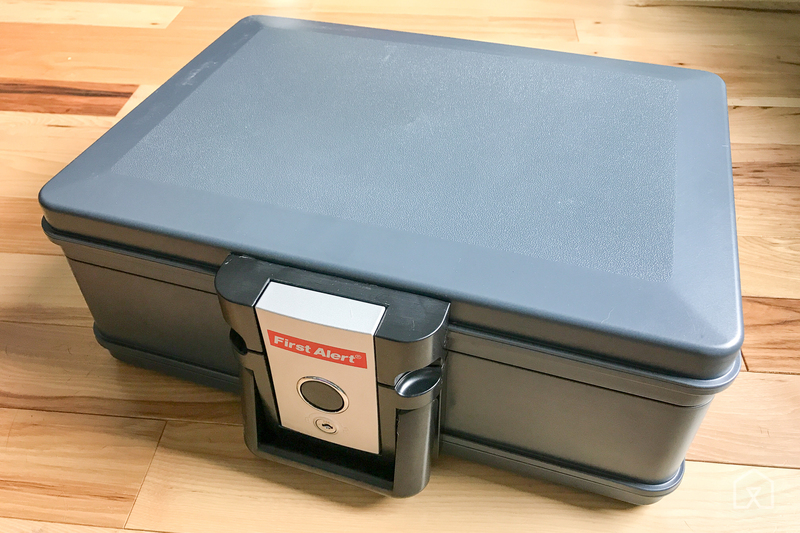 The best fireproof document safe for most people is the First Alert 2017F, a smaller version of the now-discontinued 2030F that survived our tests and was our previous top pick. The two safes share the same construction and composition, but the 2017F has half the interior space. Though we haven't yet fire-tested the 2017F, we're confident in the results we've seen from First Alert safes in the past, and the company's assurances that the 2017F is the same but smaller. The 2017F is also among the least expensive options of comparable size, and is deep enough to fit a fair number of documents. In our active fire test, the 2030F performed just as we hoped. It kept all traces of water out, and the contents were unscathed. Neither the photos nor newspaper showed any signs of heat damage, and the contents of the flash drive and DVD were both accessible. We expect the same performance from the 2017F. Both safes lock with a simple key and latch. We can't vouch for how burglarproof the lock is, but it is secure enough to not pop open when you don't want it to. Note that the locking mechanism, along with the entire exterior of the safe, was destroyed in our test fire. We had to pry the remnants of the safe open to get inside, because we had no chance of using the key (as was the case with all the safes we tested). The 2017F has an internal capacity of 0.19 cubic feet, measuring 2.91 by 13.23 by 8.58 inches, which is large enough to hold sheets of paper without your having to fold them. It has a handle and weighs 19 pounds. The First Alert 2603DF is a larger option (with a 0.62-cubic-foot capacity) for anyone who prefers enough space to hang file folders but expects the same amount of fire and water protection. Although its design is very similar to that of the 2030F, this upgraded model also includes an easy-to-use keypad locking mechanism (with a manual-key backup). On top of the chest is an electronic keypad, which you can use to enter a code between four and eight digits long. We like the keypad for quick access, though you'll need the regular key if the AA batteries die and you don't have replacements on hand. Aside from the size difference and the keypad, the 2603DF performed just as well as its smaller counterpart. The materials we put inside survived our fire and water onslaught with no damage and remained readable, even though the safe itself was destroyed.